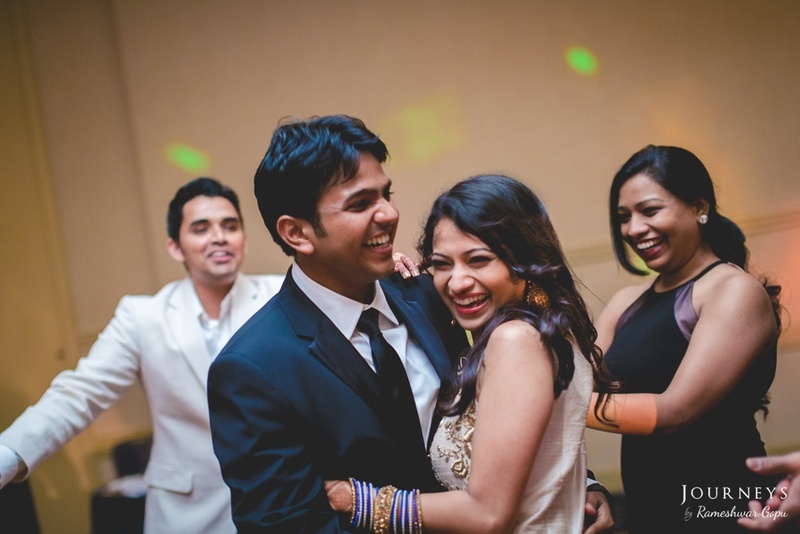 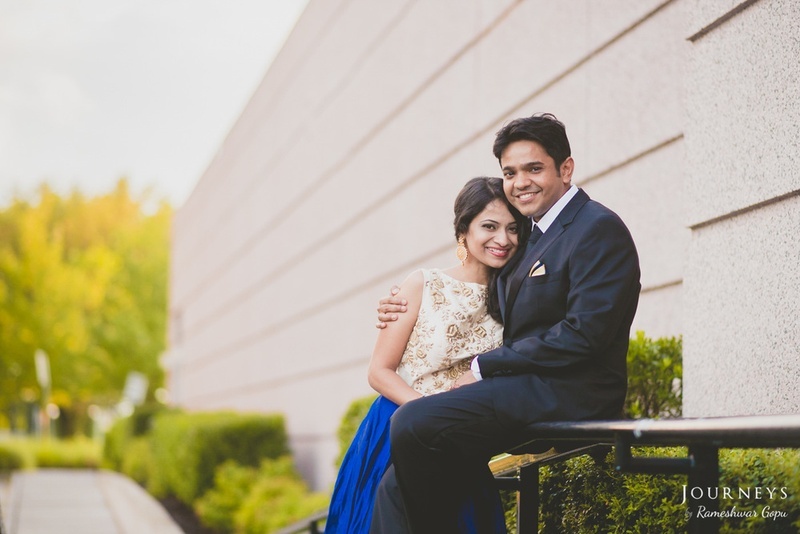 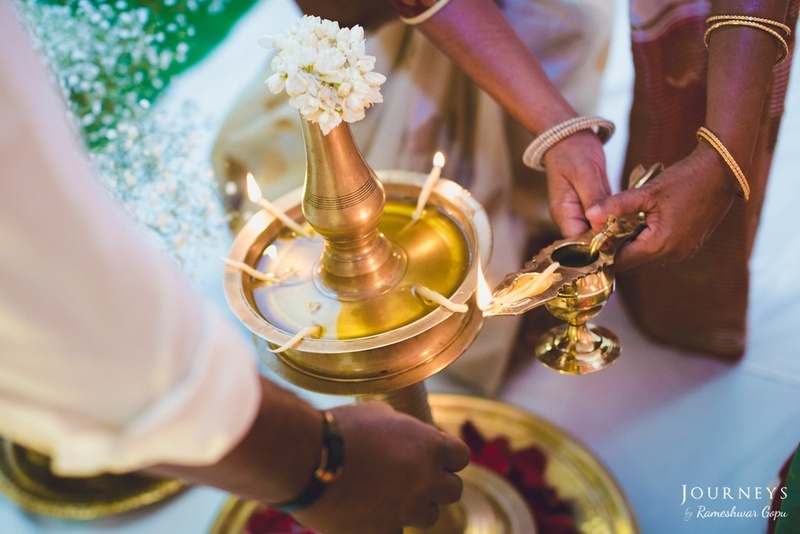 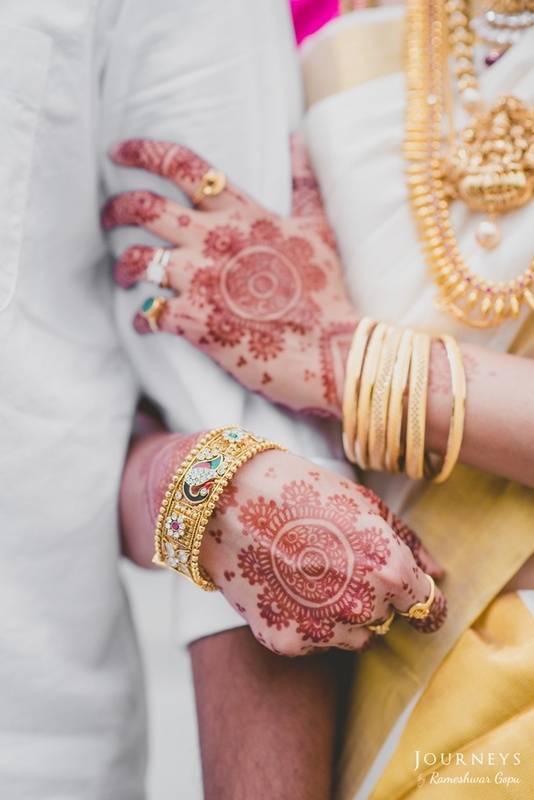 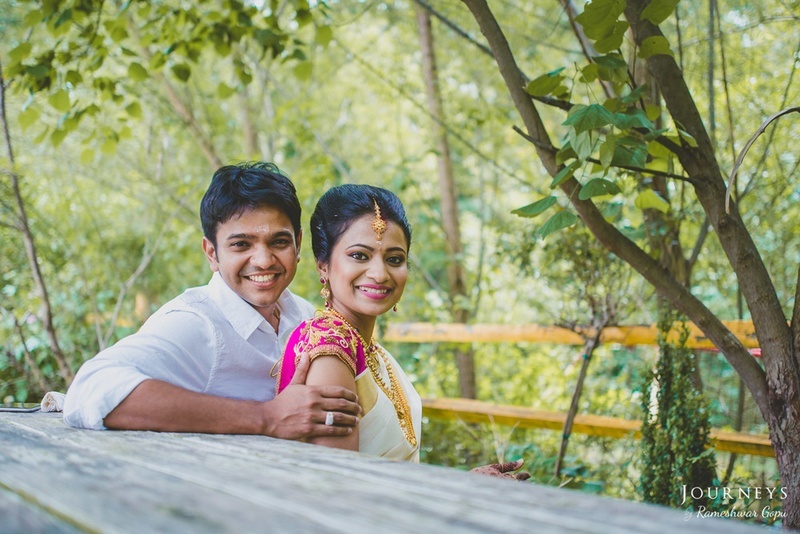 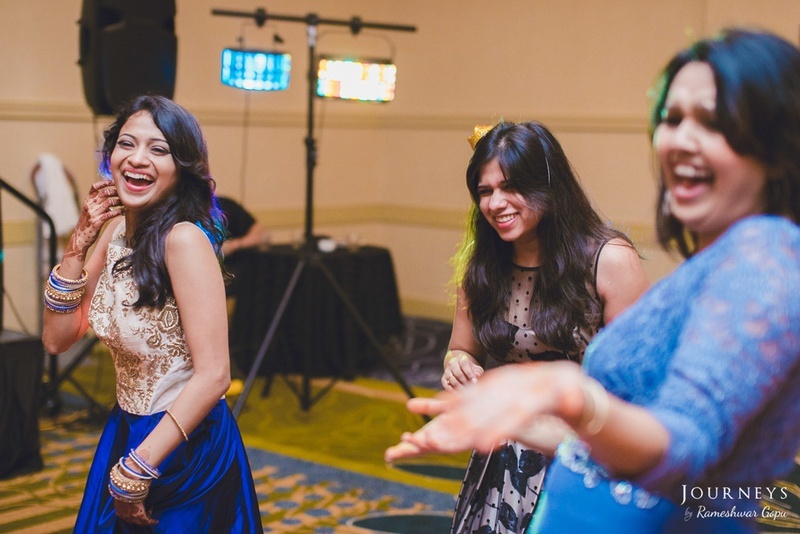 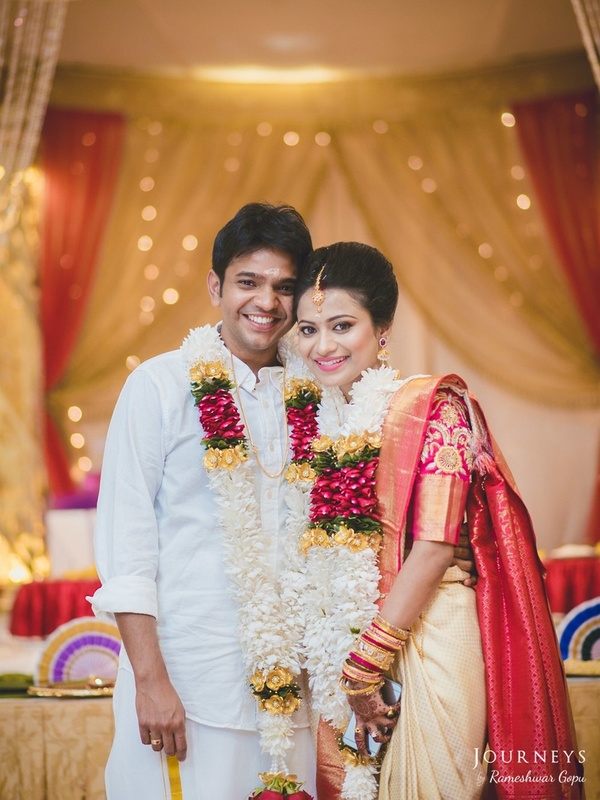 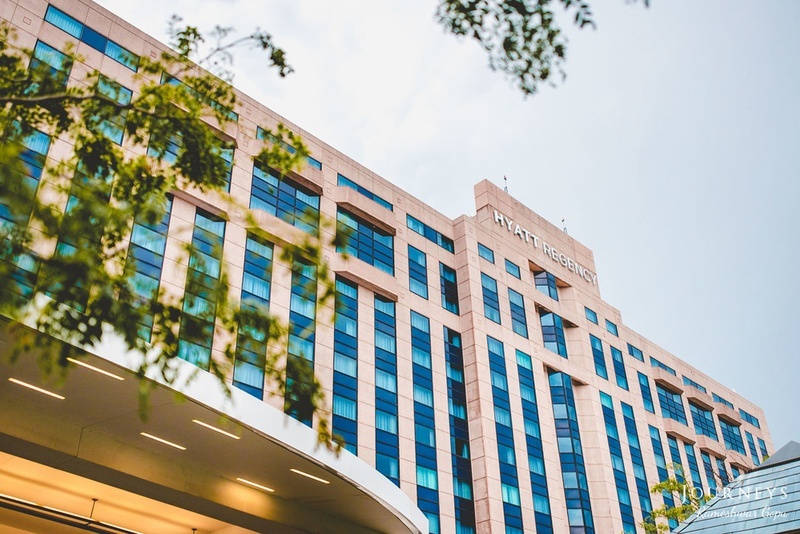 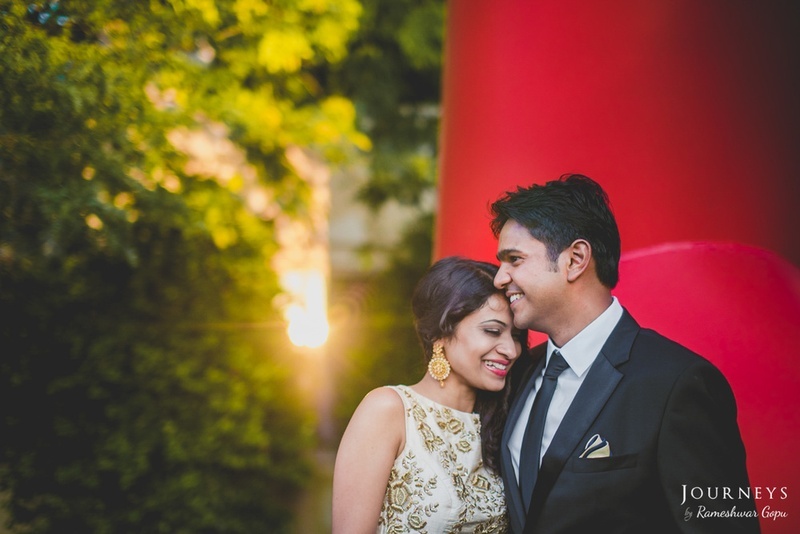 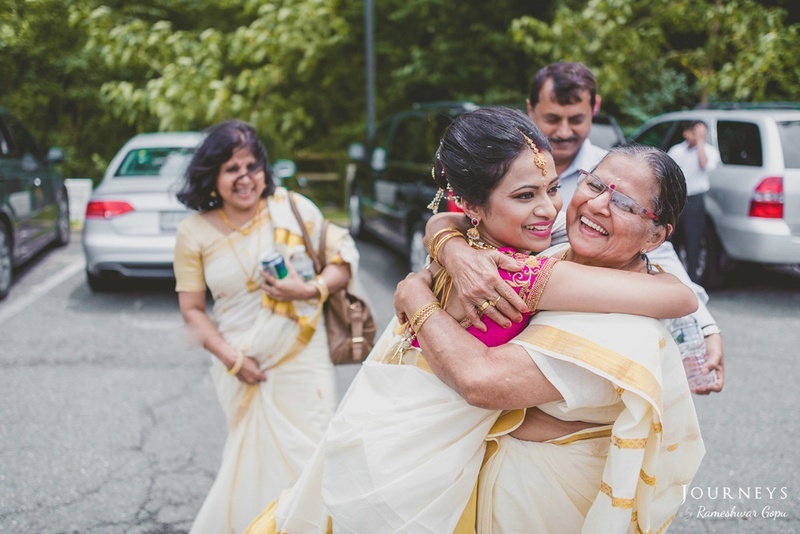 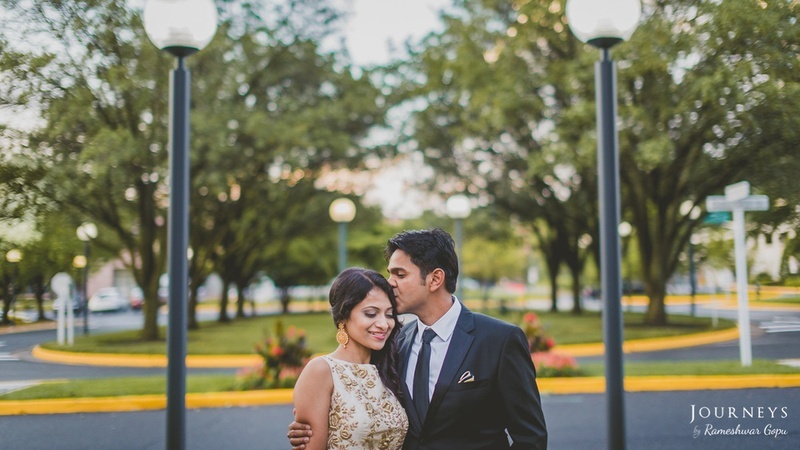 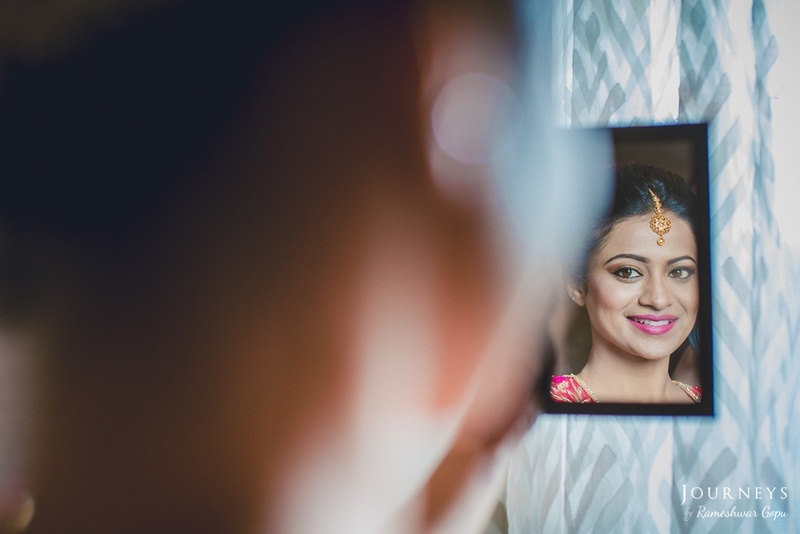 Fresh, pretty and oh-so-full of love was Sahil and Parvathy’s wedding held at Hyatt Regency, Dulles! 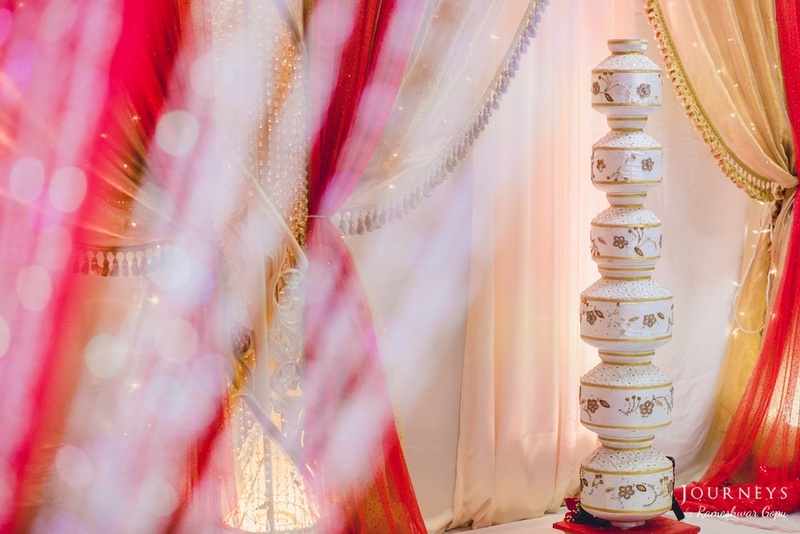 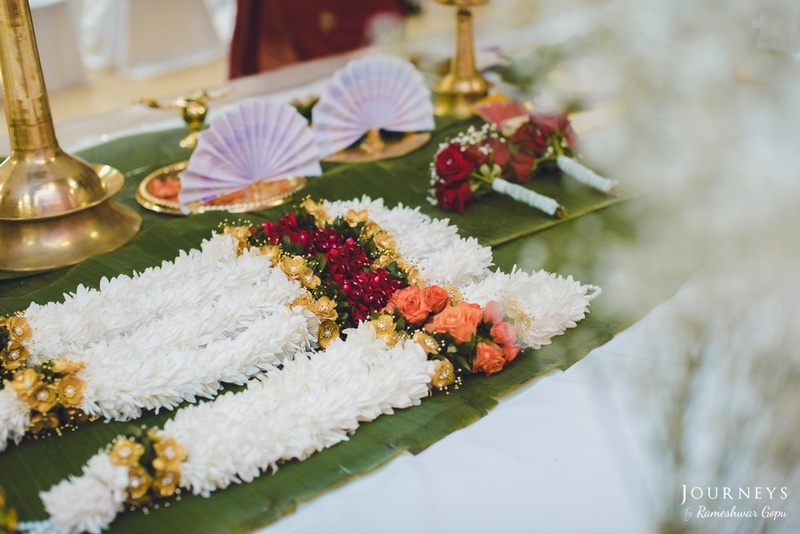 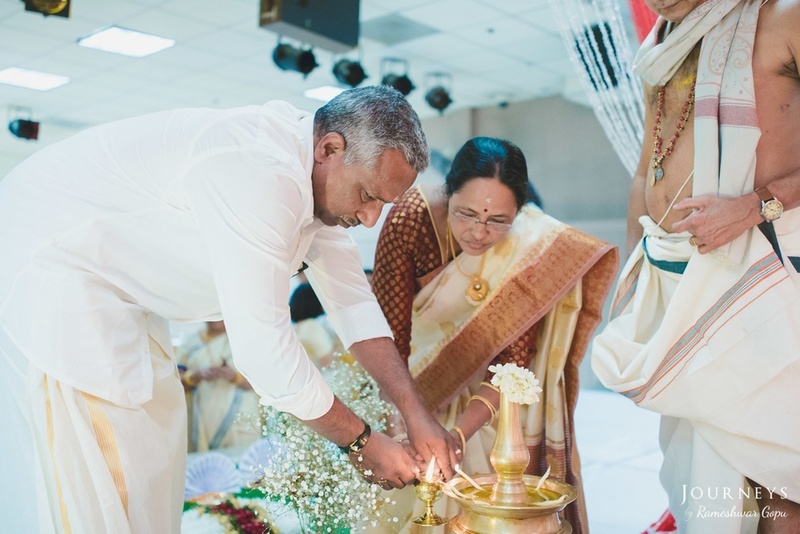 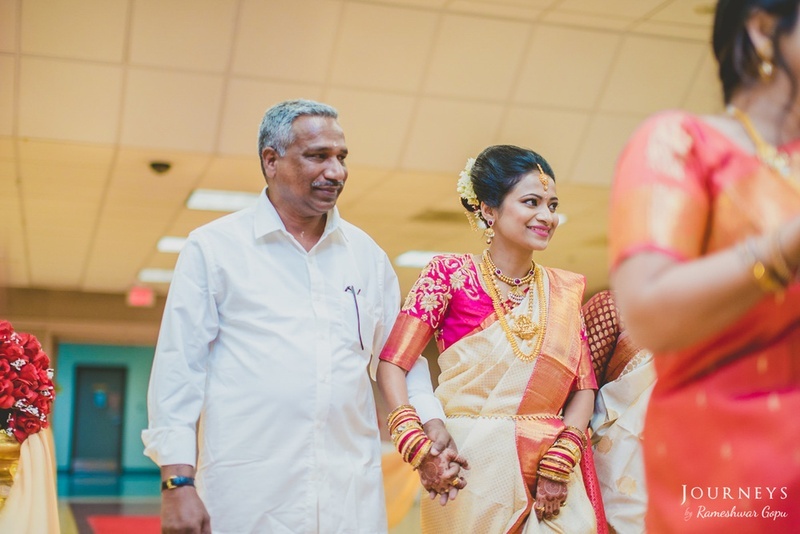 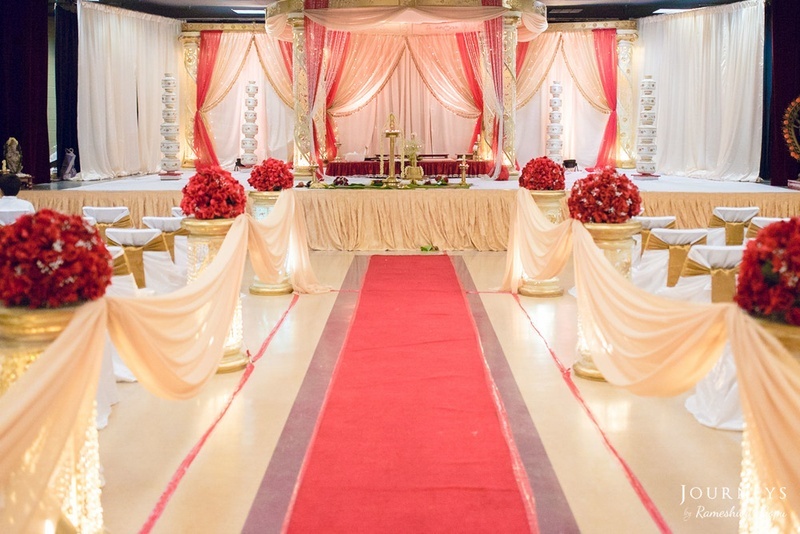 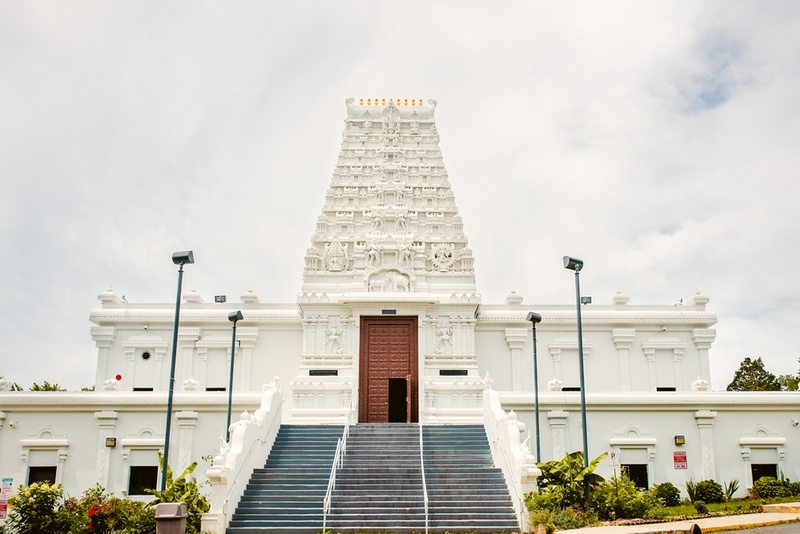 Their nuptials were held at Sri Siva Vishnu Temple, Lanham Maryland where a gorgeous wedding mandap was set up with translucent drapes paired with fairy lights. 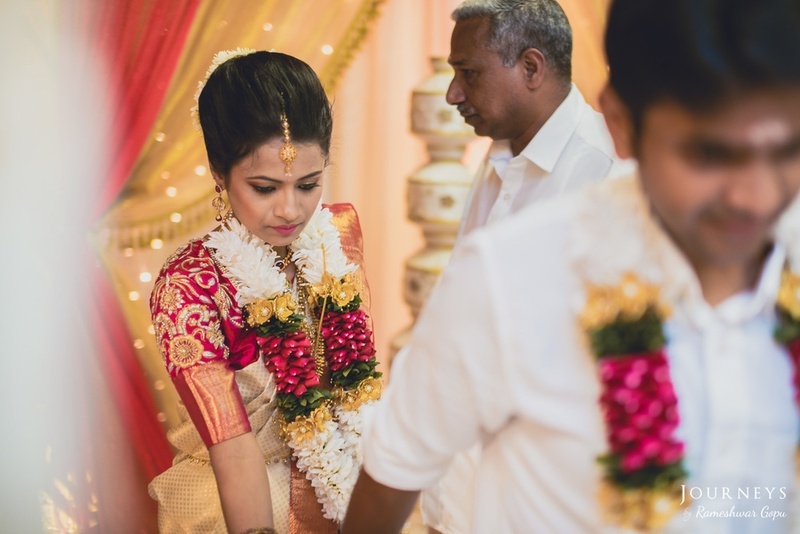 Bunches of fresh red roses along with ethnic pottery in tones of gold and white only accentuated the entire magical feel of Parvathy and Sahil’s wedding held at Sri Siva Vishnu Temple, Lanham Maryland. 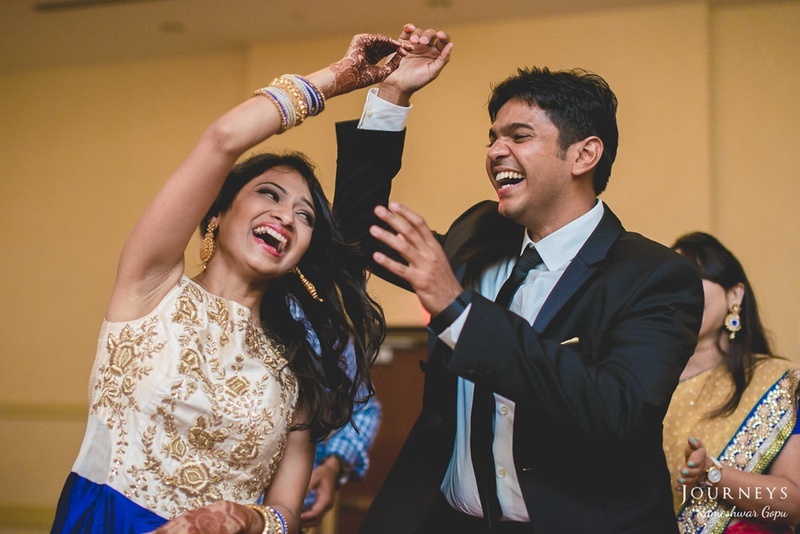 Journeys of Euphoria stood true to their name as each photo shot by them truly brought about euphoric feelings. 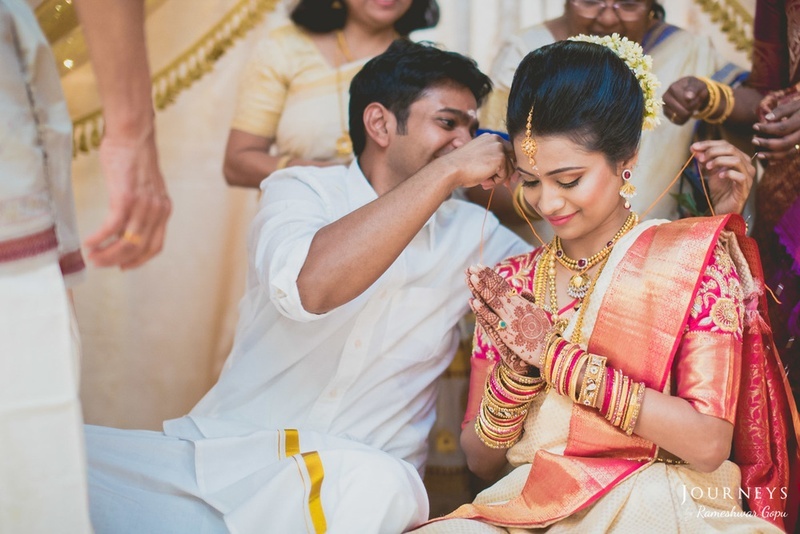 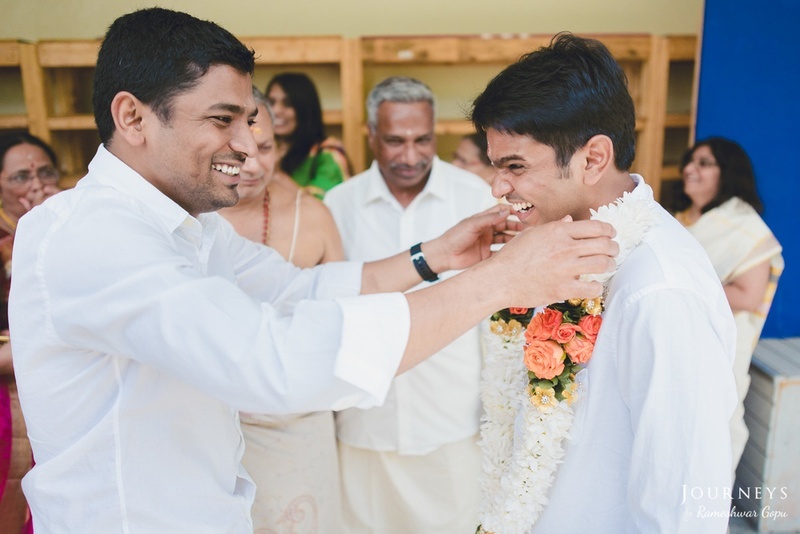 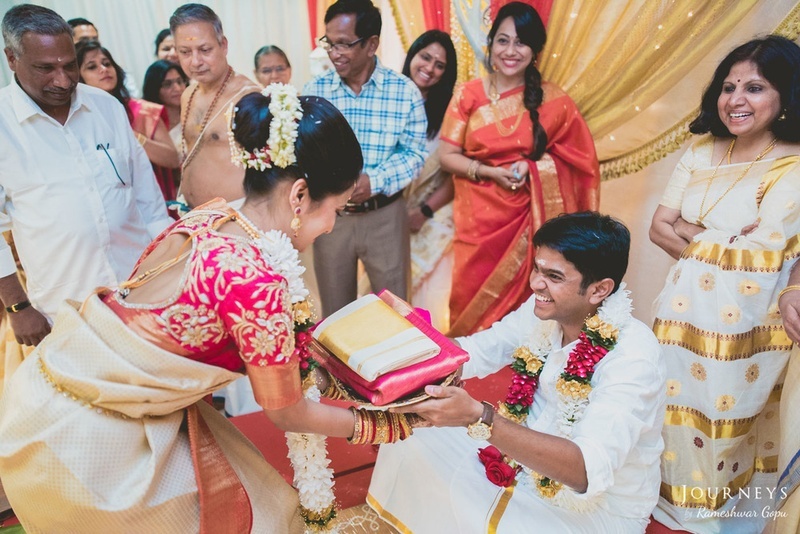 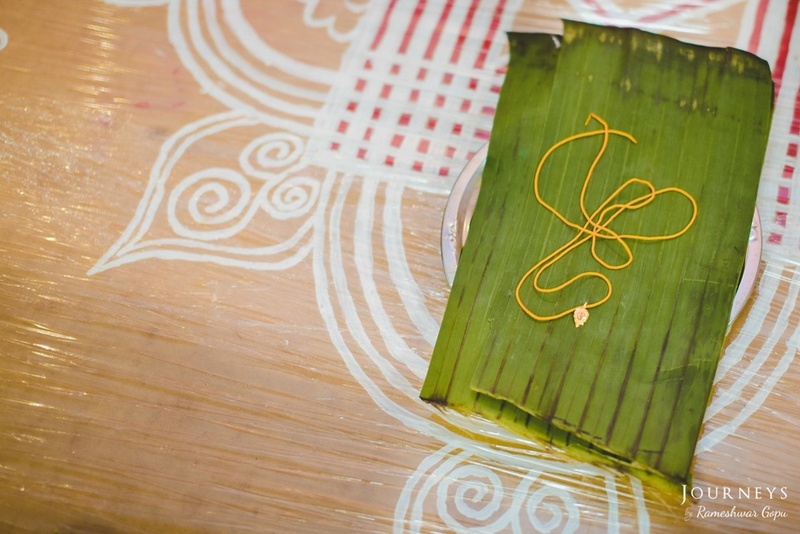 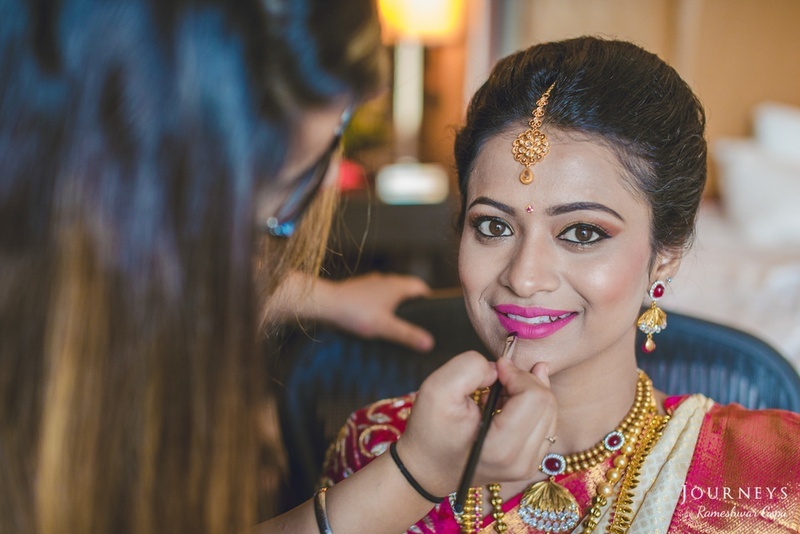 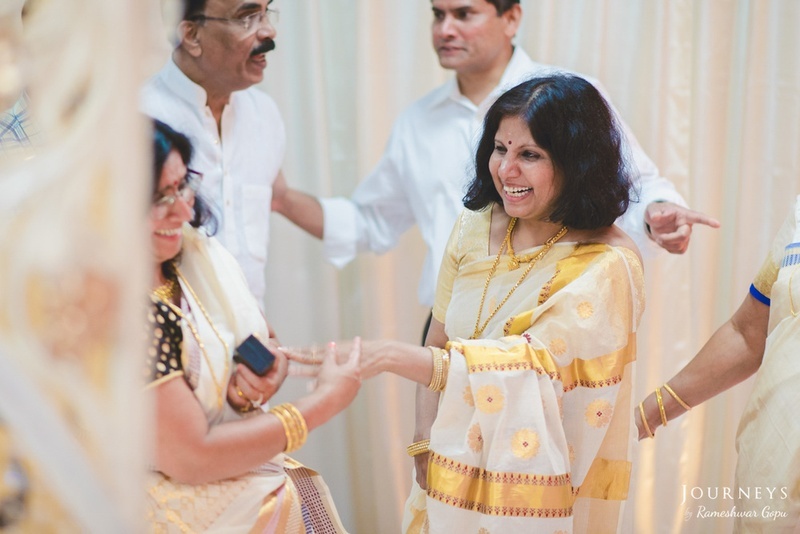 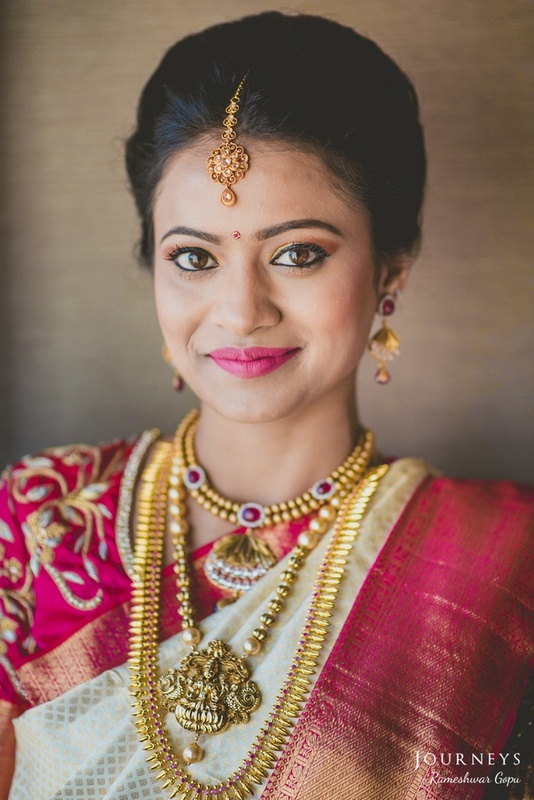 Capturing every little detail – from the intricate weaves of Parvathy’s bridal saree to those super-happy-candid-moments taken in all their beauty at the reception ceremony. 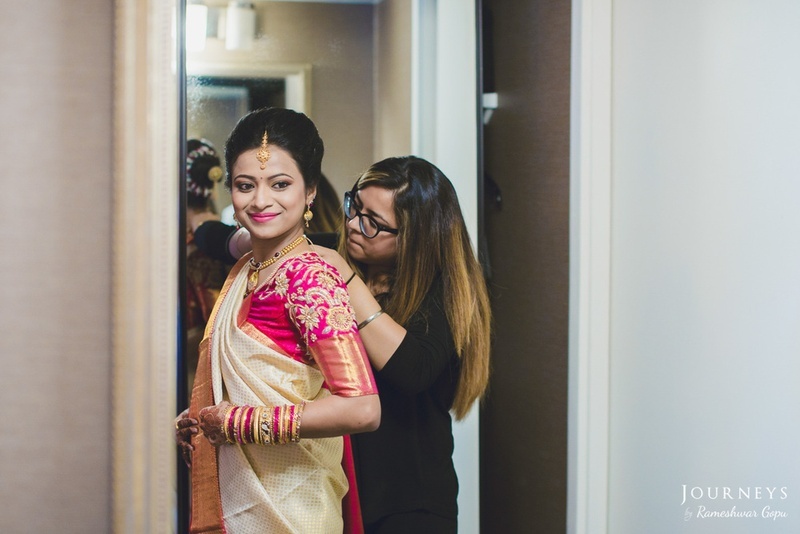 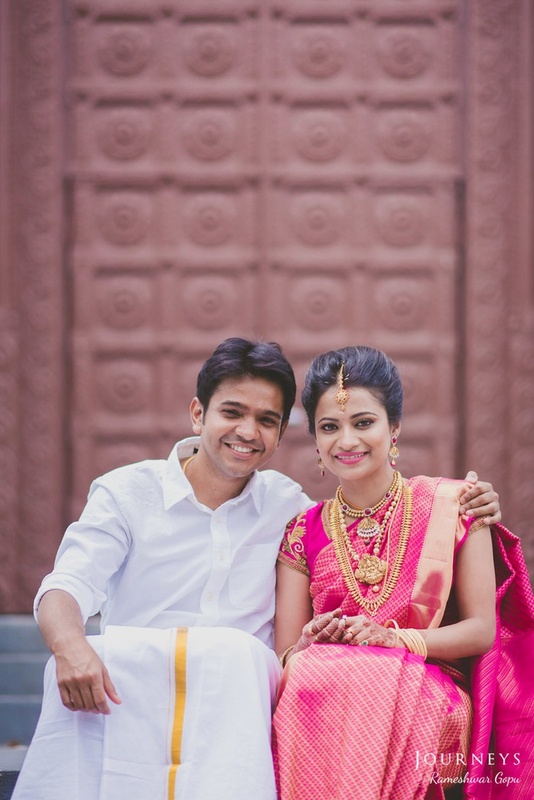 Parvathy opted to wear a traditional south-Indian Kasavu saree for the wedding rituals and paired it with a fully embellished fuchsia pink blouse with a stunning back cut out. 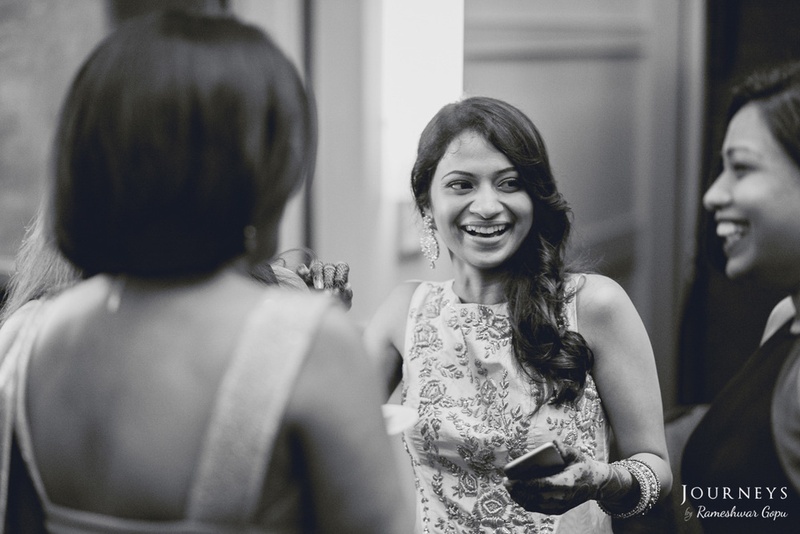 While the reception saw her in a more contemporary style dressed in a royal blue Shymal & Bhumika gown with beautifully embroidered gold and white bodice. 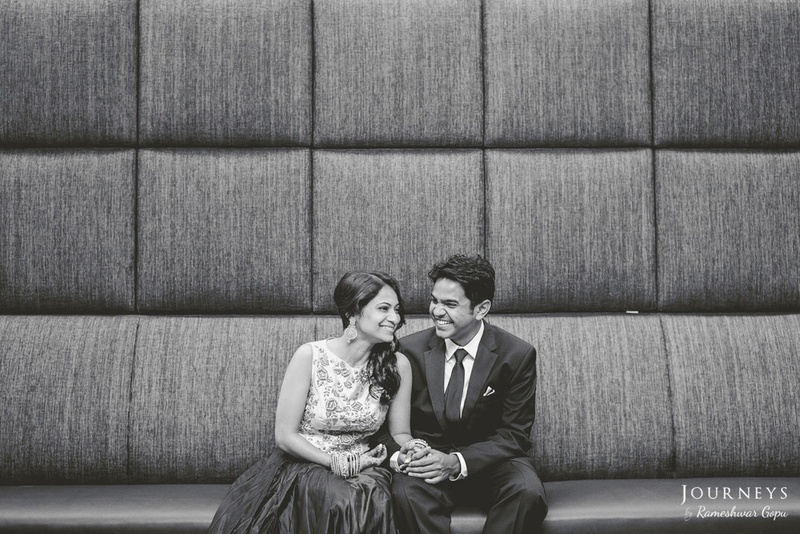 Sahil complemented her perfectly in his classic black and white suit and tie. 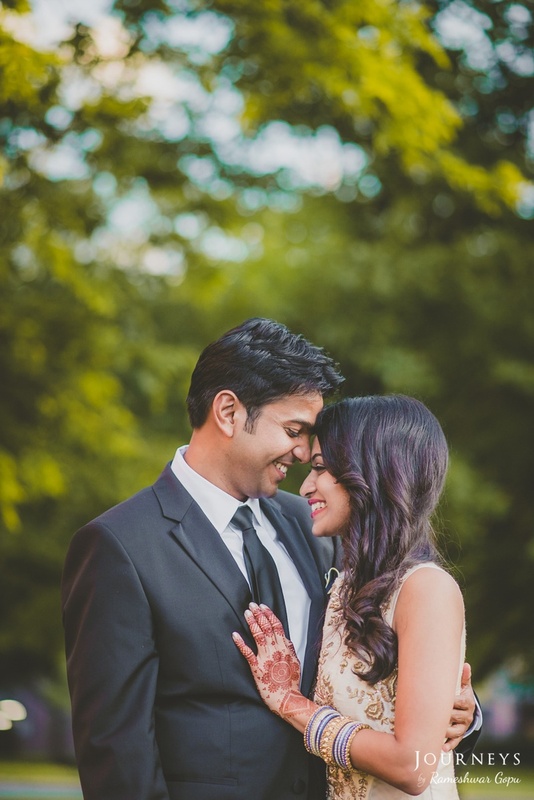 Scroll down right here to see their stunning wedding photos!